Are you thinking of buying your first home in Alabama? Would you like to learn about the various programs available to help you purchase that first home? The state of Alabama provides incentives for its residents who are first time home buyers and need help with the down payment and closing costs. Additionally, there is Federal Grant money available as well as grants from private foundations. This is free money that shouldn’t be passed up! The grant awards can be in the thousands of dollars. Besides state and federal programs, there are various programs offered in several cities and counties. We have all the details below. It will be well worth your time to educate yourself about the grants that are available to you. The Alabama Housing Finance Authority (AHFA) provides entry cost assistance in conjunction with the First Step program since down payments are typically the greatest barrier to home ownership. 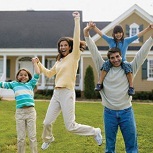 AHFA combines low-interest loan funds with 30-year, FHA, VA, Rural Development or conventional mortgages. 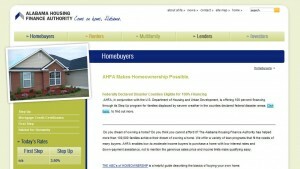 Program participants must complete a home buyer education course to qualify. You can visit their website directly by clicking here. In addition to the grant programs described above, the U.S. Department of Housing and Urban Development provides home buyer assistance and grants in every state. There are multiple grant programs designed specifically for people that meet certain requirements, such as grants for people with disabilities so they can continue to live independently at home. It is worth visiting HUD’s website to see what assistance is currently available. For your convenience, simply go to this page. What does my credit score need to be in order to qualify for a home loan? What is the best way to shop for a home loan? What should my mortgage payment be in relation to my monthly salary? “DECATUR H.O.M.E. 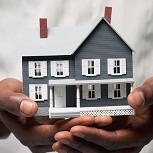 provides financial assistance to qualified low-income families for the purchase of a home with MINIMUM MONEY DOWN. Download the Decatur H.O.M.E. Presentation PowerPoint. The City of Decatur will pay ½ of minimum required down payment or the entire minimum required closing costs, some including prepaids. “The Housing Choice Voucher (HCV) Homeownership Program is offered to all eligible Huntsville Housing Authority Family Self-Sufficiency (FSS) Program Participants. HCV allows first-time homeowners to use their rental subsidy to meet their monthly homeownership expenses (i.e., mortgage payments, utilities, maintenance, and upkeep). Clients who wish to join the program must apply and meet the eligibility requirements. Once the applicant has been deemed eligible to participate, he or she will be required to enter into a homeownership education course and a financial literacy course in order to prepare for homeownership. In addition, participants will be required to secure their own mortgage financing through a lender. If you are interested in purchasing a new or existing home, Jefferson County offers assistance through Greater Birmingham Habitat for Humanity. 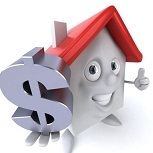 The benefits to the Program are a lower down-payment and a lower monthly payment. Applicants must meet certain income and credit requirements. Applications are taken by Habitat so please contact them directly at (205) 780-1234 or http://www.habitatbirmingham.org for more information. Jefferson County is an Equal Housing Lender. “Mobile County’s Down Payment Assistance Program is helping first-time homebuyers make their dreams of home ownership come true. The program is funded by a grant from the U.S. Department (HUD). The Program is designed to provide affordable housing for low and moderate income families. Neighborhoods and that the program assists low income families in building financial equity while fostering economic growth through new home construction. 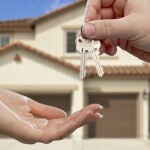 “The City of Montgomery’s Downpayment Assistance Program for first-time homebuyers. Funds for the homeownership program are made available by the U.S. Department of Housing and Urban Development (HUD) under its HOME Investment Partnership Program (HOME). HUD regulations establish maximum income limits per family size; these limits determine eligibility to receive the City’s assistance. The program targets income eligible first-time home buyers who desire to purchase a home, but have found it difficult due to a lack of funds for downpayment. Since establishing this program in November 2002, the program has helped 234 citizens of Montgomery realize their dream as first-time homebuyers and owning a home a reality. This entry was posted in Down Payment Assistance, First Time Home Buyer Grants, First Time Home Buyer Info, First Time Home Buyer Programs and tagged Closing Cost Assistance Program, down payment assistance, HOME Program, Housing Choice Voucher, Huntsville Housing Authority. Bookmark the permalink.